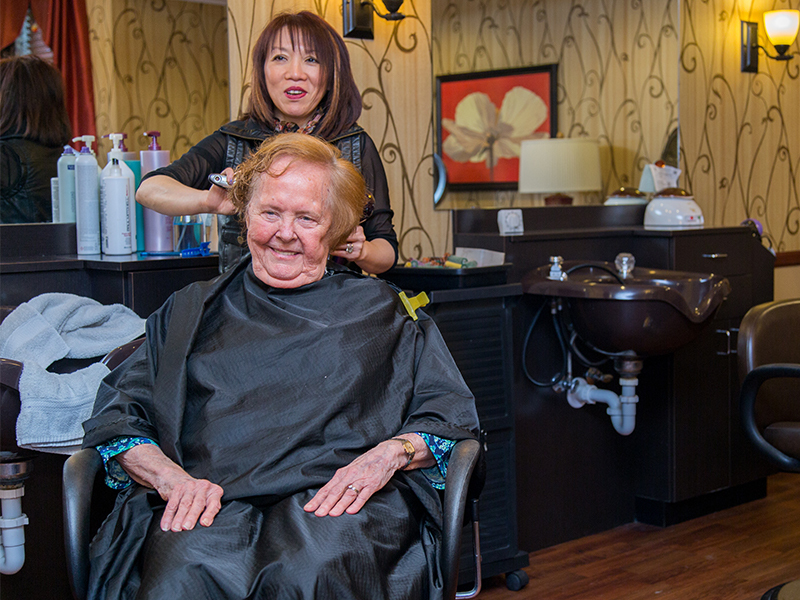 In the heart of Maple Grove, Arbor Lakes Senior Living is near many shopping and activity options. 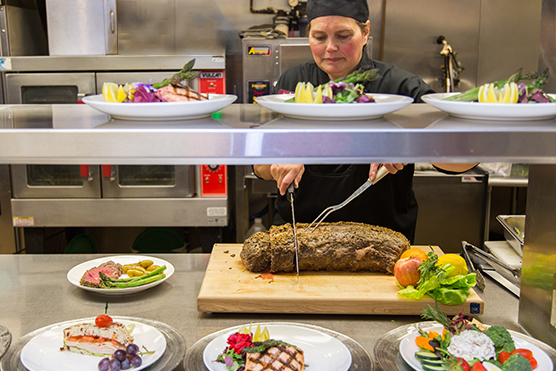 The dining experience at Arbor Lakes Senior Living is second to none. Taste for yourself! 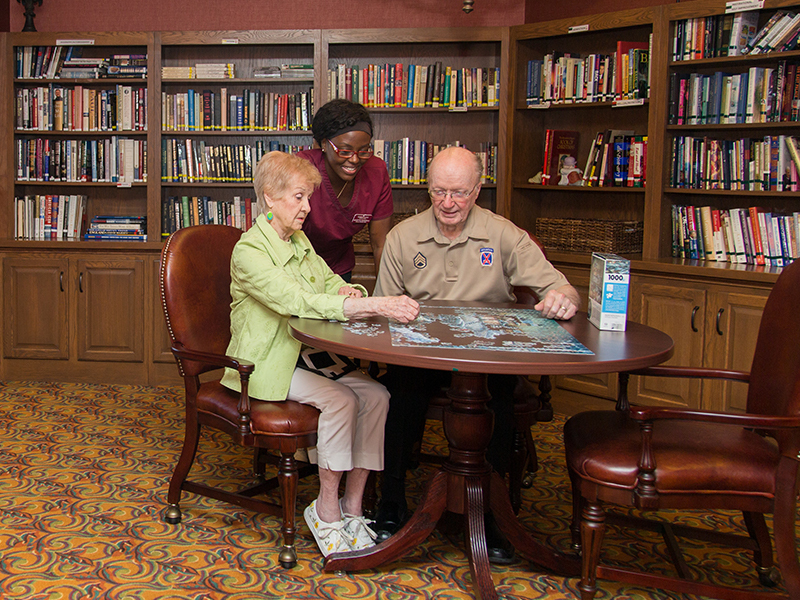 Whether you want to read a book or do a puzzle, we have a warm environment that feels just like home. We have many areas for gathering and participating in fun activities as a community. Arbor Lakes Senior Living provides seniors with arrangements for independent, assisted or memory care living. Sit back and enjoy the show. 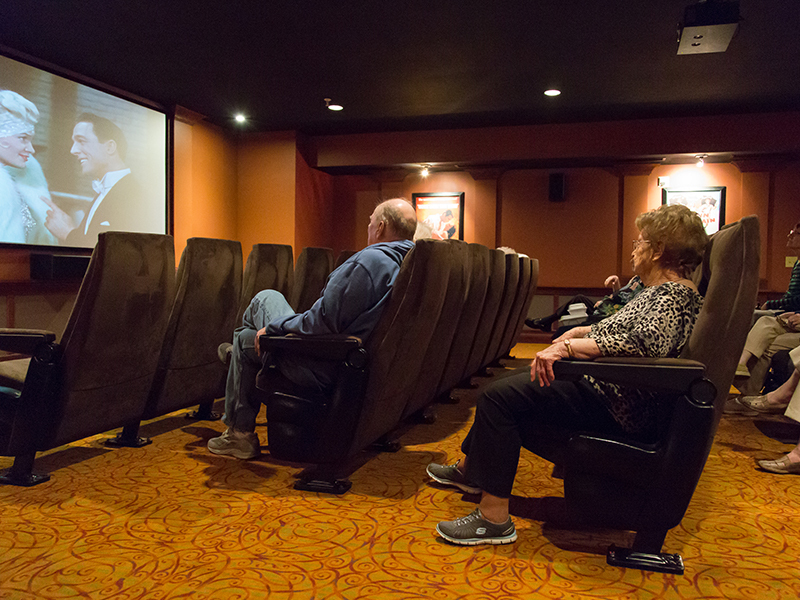 Our luxurious movie theater is just one of our many on-site amenities. Stop by to experience the difference for yourself. 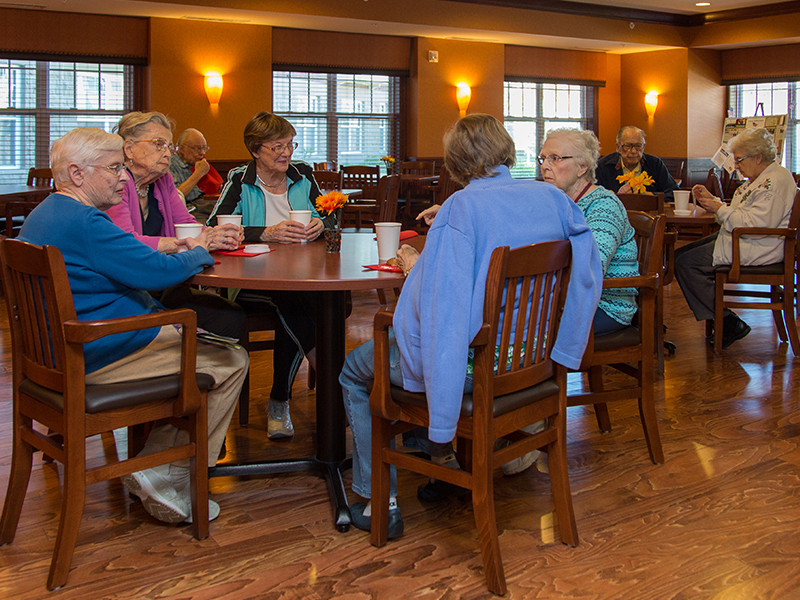 Arbor Lakes Senior Living offers a variety of delicious and healthy meal options. Looking for a comfortable, safe environment? Arbor Lakes offers Independent Living, Assisted Living and Memory Care living apartments. 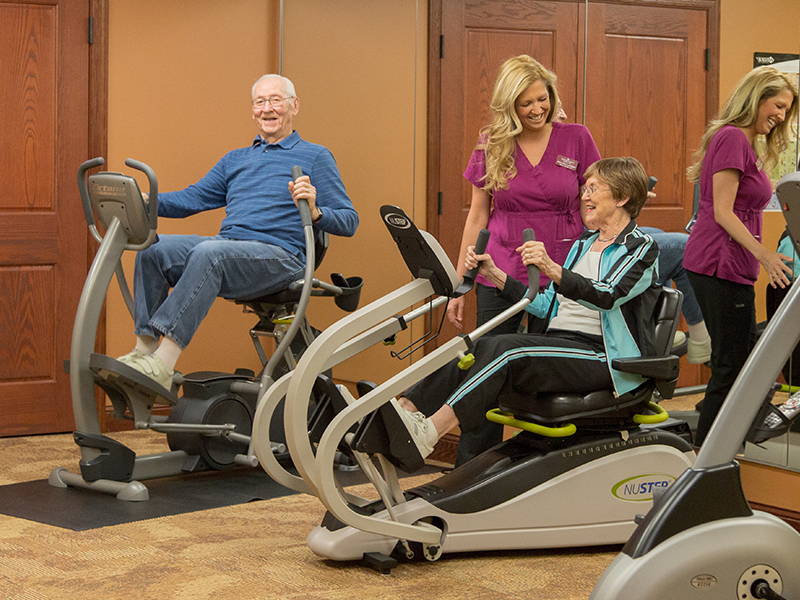 We offer a high quality of life designed to fit the lifestyle and evolving needs of our residents. 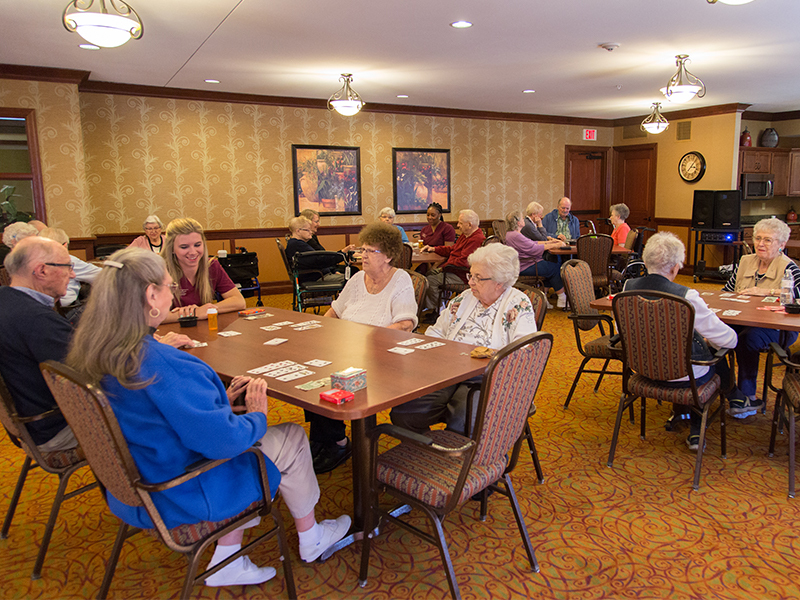 At Arbor Lakes, our professional and compassionate staff keeps our residents active and independent every day of the week through a wide range of fun events and activities. From home-cooked meals and exercise classes to social outings and birthday parties, we are committed to happy and healthy bodies, minds and souls. For our senior residents who are healthy and active, the independent lifestyle at Arbor Lakes Senior Living offers many wonderful advantages. 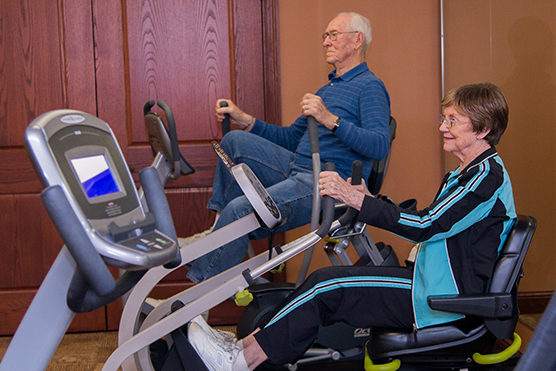 This situation is designed for seniors who are capable of maintaining their full independence, but desire the conveniences, social activity and security that community living offers. The independent senior lifestyle at Arbor Lakes is filled with recreational, educational and social opportunities. It also allows seniors more time to themselves and less time performing home maintenance and yard work. It's a great place to entertain old friends and meet new ones. As an assisted living resident at Arbor Lakes Senior Living, you will enjoy a comfortable, engaging lifestyle that includes safety and security for peace of mind, a chance to cultivate personal interests and lasting friendships, and caring help if and when you need it. Our experienced staff can provide needed assistance with healthcare, personal care, household tasks, and planning of social and recreational events. 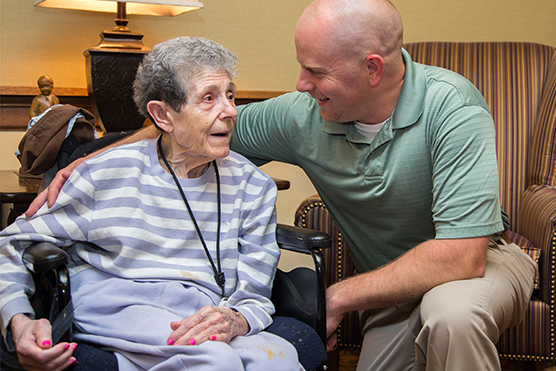 Our seniors in assisted living gain an increased quality of life while also maintaining their independence. 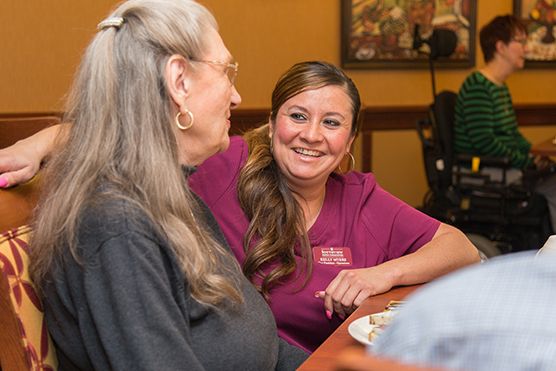 Arbor Lakes Senior Living offers exclusive memory care suites with full 24-hour staffing. trained staff members provide specialized activities and care designed to meet the unique needs of each individual experiencing memory loss. To help us customize your service program at Arbor Lakes Senior Living to your individual needs, a list of a la carte services is available for add-on. These include any of our services that aren't scheduled on a daily basis, or aren't included in your regular service program. A la carte services are especially popular with senior residents in Independent Living apartments who just want a little bit of assistance in one or two areas.